Lisk has seen little action over the last month despite the project announcing the release of their new Core 1.0.0 upgrade last month on to the mainnet - a major milestone development for the project. In the lead-up to the announcement, LSK soared over 100% towards the end of August but has already unraveled -45% of that gain in the last three weeks. This could have been caused by short-term traders exiting into XRP, XLM, BTC and other big performers this month, which attracted significant attention from investors. However, it is worth noting that the launch post has recently been pulled from the Lisk Support website without any explanation, nor does it mention when we should expect it to arrive. Will the team be able to deliver on the promise of a new decentralized exchange soon, or should we expect to see the asset slide further as impatient traders depart into faster gaining coins? Let’s take a look. 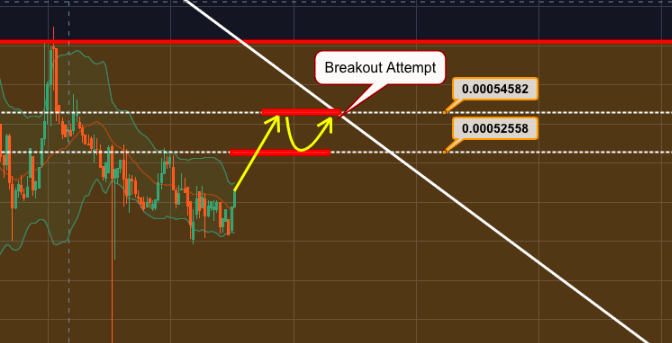 Looking at the LSK/BTC chart over 4hrs, we can see that LSK has been held in a long bearish decline throughout September and has re-entered into the ‘buy zone’ area between 58,200 and 41,906 Sats. In the last 48hrs, momentum has been highly inconsistent with whipsawed candles and no clear trend on the RSI indicator, but in the last four hours we have finally started to see some signals of bullish momentum starting to gather. Could this be a sign that traders are starting to return to the asset ahead of the launch? On the MACD, the 12MA has just jumped through the 26MA as momentum starts to pick up. The indicator line of the CMF has also just cleared through the zero line as buying pressure starts to increase against the bears. Perhaps most promising is the signals we are getting from the Ichimoku indicator which is showing a bullish T/K crossing supporting with candles beginning to pass through the resisting kumo on in front. This is usually a good sign that the asset is attempting to reverse. All price targets are set from the 50,700 Sats mark where the asset is currently valued. Price Target 2: Bullish continuation to 54,582 Sats (7.66% ROI). We could see LSK hit Price Target 2 and oscillate between here and the lower support before testing the downtrending resistance.